Each village in India is a seamless melange of different traditions and customs, which are deeply rooted in the regions they belong to. India is home to several art villages, where handicrafts, handlooms and artefacts have been valued throughout ages. The legacy of such beautiful handicrafts and handloom items in the country, till date, withstanding the test of time, stands witness to the importance of traditional art forms. The unique and one-of-a-kind enthusiastic artisans, armed with ideas and creativity, churn out masterpieces with their hands, but fail to find the recognition they so greatly deserve. From elegantly sewn embroideries to dexterously handcrafted curios, the indigenous craftworks of the artisans is a treasure trove of magic and wonder. There are a very few craft villages in India today, where generations of a family have dedicated their lives of mastering the craft of the respective artworks. Travel to these remote villages and unravel the creative and colourful realms of the country, that will draw your attention and entice you by the sheer brilliance of the craftworks. This village of Naya is located in the Pingla block of the West Midnapore district of West Bengal. The village boasts in the creation of some distinctive and exclusive handiworks, like, hand-painted narrative scrolls or the paint tales from the Mangalkavyas, the religious text of the Hindu Bengalis. The picture makers or as the locals call them the Chitrakars or the Potuas, are known for their mesmerizing brushstrokes on long canvases fixed on scrolls of cloth. From the hand-painted tales of the two Hindu epics of the Ramayana and the Mahabharata to singing out loud their own compositions painted on the scrolls, the Chitrakars make sure they bring life to this dying art form in the country. The artists here are bent on using natural paint for their artworks. Often natural paints are prepared in advance in coconut shells and are stored in plastic jars for the year-round use. By air: The nearest airport to this village is Netaji Subash Chandra Bose airport in Kolkata which is approximately 120 km from the village. Frequent cab services are available from the airport. By rail: The nearest railway station is located at Balichak, which is 10 km from the village of Naya Pingla. By road: The nearest bus stop is located at Balichak, 10 km away from the village. Home to the artistic tribal communities of the Bhils, Gamits and Warli, the curious little artistic village of Gandharvapur is nestled on Saputara plateau in Gujarat, at an elevation of 1000 m. Located in the forest area of Dang of the Sahyadri range, the villagers are largely dependent on the forest produce and primarily for extracting timber and honey. The artistic tribal communities form a part of the Artist Village at Saputara. These tribes are known for their exquisite handmade artefacts, where you can find pieces of pottery, paintings, to beautiful handmade jewellery, key chains and much more. Soak in the culture of the tribal artisans and even try out your hands on some leisurely crafting of a few art pieces yourself. 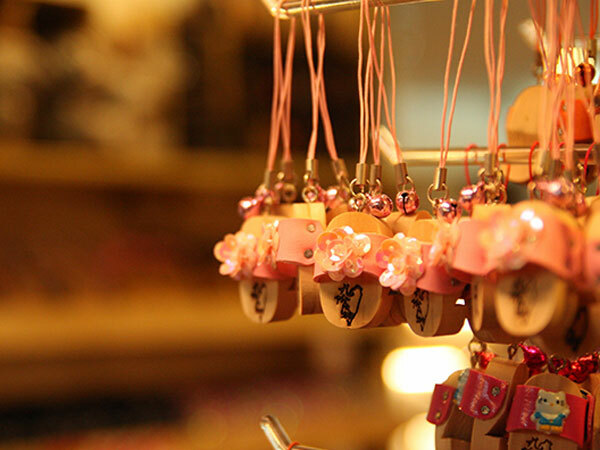 Switch up your holiday experience, making sure you don't just come back with a skill or two from this place, but also loaded with the most original souvenirs. By air: Gandharvapur can be reached through the nearest airport, which is in Vadodara and it is near about 310 km away. By rail: The nearest railway station to reach Gandharvapur is located in Waghai, on the Billimora-Waghai narrow gauge section of the Western Railway. The rail head is near about 50 km. By road: You can reach the village of Gandharvapur by road. The bus stand is in Saputara and is well-connected to other cities of the state. A little digging into India's rich cultural reserve will lead you to the toy village of Channapatna, near Bangalore, Karanataka. Popular by the name of doll town, the toys made here are a colourful mosaic of bright and vibrant hues and shades. Every year a tableaux stuffed with Channapatna toys are made to represent the state of Karnataka in the Republic Day parade at Rajpath. The toys of Channapatna are so renowned worldwide that even the World Trade Organization has also given a GI tag for the toys to preserve the culture forever. Legends have it, that back in the times of Tipu Sultan, the ruler received a wooden craft piece as a gift from Persia, and he admired the gift so much that he is believed to have invited Persian artisans to train his people in the art of wooden toy making. By air: The nearest airport to reach Channapatna is located at Bangalore, the Kempegowda International Airport, which is just 60 km away from the village. Frequent cab services are available from the city. By road: The Channapatna bus stop is located at the heart of this village and it is frequented by regular bus services. The village of Sanganer, located near the capital of Rajasthan, Jaipur, popularizes in screen and block printing. A lovely spot afloat with beautiful artefacts, is inspired by nature and its flora and fauna. The printing processes involve various intricate patterns of small flower motifs, birds and animals on fabrics. Chunks of intricately hand-crafted wooden blocks are dipped in vibrant colours and pressed on fabric to leave a motif. By air: The nearest airport to Sanganer is located in Jaipur, which is just 16 km away from the village. By rail: The nearest railhead is at Jaipur, located at a distance of 16 km. By road: The Sanganer bus stop is well-connected by frequent buses to other parts of the country.